Nestled at the foothills of the Sierra Tramuntana mountains which span the northeast coast of the island of Mallorca, we find the municipality of Sa Pobla, an artsy village surrounded by green and brown fields. For those wish to immerse themselves in Sa Pobla's considerable art scene, there's the Museo de Arte Contemporáneo, Museo de San Antonio y el Demonio, the Cavallets art exhibition rooms and Can Planes. Nostalgic visitors and the younger generation will also enjoy the Toy Museum of Sa Pobla. One of Sa Pobla's most popular attractions is the Plaza Mayor, located in the old town. It's a charming place that holds an open-air market, where you can buy Mallorcan handicrafts and taste the tapas, which are typical of the region. If you come in January, be sure to participate in the Feast of Sant Antoni, celebrated with bonfires, parades, fireworks and giant puppets during the Nit Bruixa (Night Witch), followed by a blessing of the animals the following day. The historical and prehistoric route of Sa Pobla dates back to the Talayan period, passing through the Romans and Arabs until we arrive at the present day. The area holds a large number of archaeological sites, navetas, megaliths, burial caves and talayotes, which makes the area an immense open-air museum. Tanca des Moros, Son Cebrià, So N'amer, Puig de Castellot or Creu de Can Fat are some of the most emblematic monuments of this ancient legacy. For sports fans, Sa Pobla offers endless possibilities. For those who prefer the mountain, there is the Natural Park of l'Albufera, which features splendid hiking, cycling or horse riding routes. For those who prefer the coast and water sports, the beaches in this area allow to do activities such as diving, surfing, snorkeling or canoeing. Sa Pobla is made up of the Sierra Tramuntana mountains, the Pla and the bay of Alcúdia, offering a wide range of gastronomic, cultural and natural leisure. Its Mediterranean climate, sandy beaches and colorful waters delight even the most demanding beach lovers. Muro - Sector I: the beach par excellence of Sa Pobla. Its great extension allow many swimmers, so it is not a suffocating beach in high season. Its soft sand and shallow, crystal-clear water is the perfect place to relax or visit with children. Muro - Es Comú: belongs to Muro beach. This beach of fine sand is bordered by juniper and pine trees that design a unique dune system in the Balearic Islands. Capellans: is also known as Playa Caseta or Casetes des Capellans. It gets this name from its summer houses, some of which were used by the priests of the Parroquia de Muro. Capellans beach is half a kilometer in length with moderate swell. 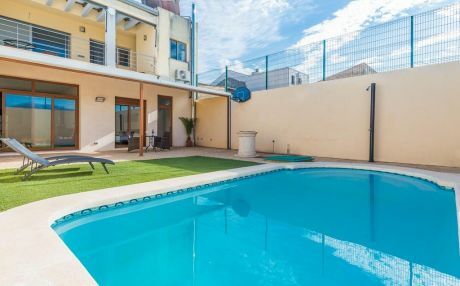 For a fantastic holiday in Majorca, rent a villa with a private pool in Sa Pobla or a nice house or a chalet with garden. It will give you the opportunity to feel like you are in your own home and allow you to enjoy the privacy of an independent house. 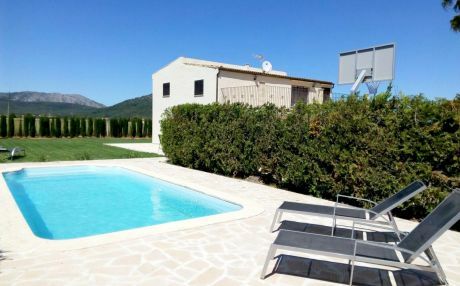 Sa Pobla has many residential areas with a good number of holiday homes and independent chalets. 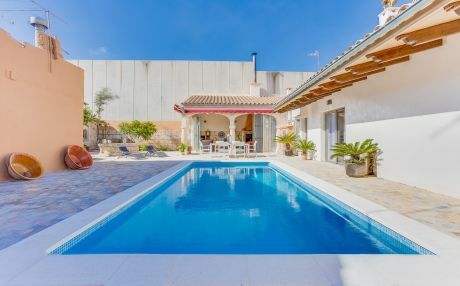 If you want to make the best out of your holidays, visit our website to find different villas in Sa Pobla where you can live an unforgettable experience with the whole family or with your group of friends.